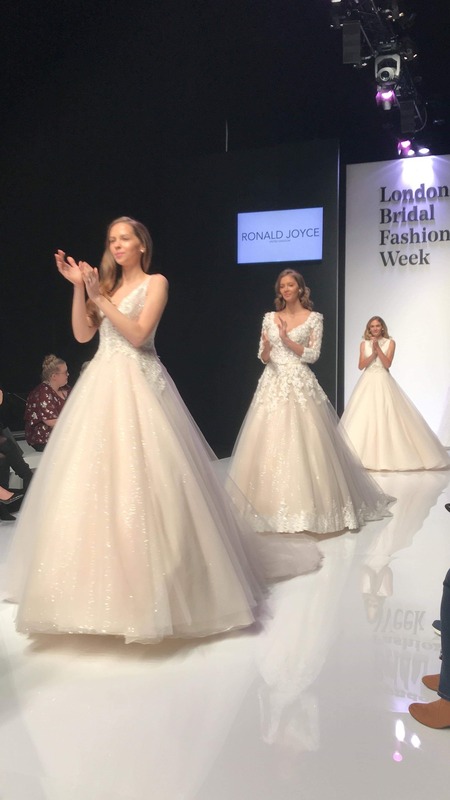 As this years London Bridal Fashion Week got underway we’re excited to share what we saw with you all! As a bridal shop owner I get super excited to see what’s coming and where bridal fashion is heading. But as the owner of a sample/preowned bridal shop, I know that you can also find like styles out of that particular season. So don’t feel like you have to follow the trends! This year our team from Bridal Reloved head office reported an abundance of ball gown style dresses to fix your inner princess desires! Lots of tan and gold shade dresses with bold appliqués and embroidery in designers collections. Bridal jumpsuits were also still making an appearance on a lot of the catwalks, as were capes! Royal wedding fever is still very much around as we saw that tiaras were big news, which is perfect to complete your ball gown look! Featured designers included firm favourites Mori Lee, Allure, Justin Alexander, Ronald Joyce and Coya. See anything you like? We’d love to hear about your dream wedding style! Tell us what look you will be going for on your big day.